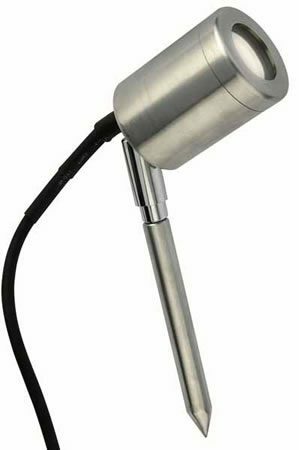 High power 1w single white LED IP65 rated garden spike light, with a fully adjustable head. Supplied with 3m outdoor rated cable. Superb LED garden spike light with a single high power spotlight. Also available with green, yellow, blue and red LED. If you require a colour other than white, please contact us.